Hunters all over the Country rely on Cirrus® to help them determine the slightest wind or thermals. Cirrus brings a multi functional tool to the pack, LEDs allow users to detect the wind and thermals in total darkness. ​Red Led for stealth, White to be used in total darkness or as a flashlight. Power Bank charger is built in to give you an emergency charge on your cell phone or portable electronics. Whether you are elk hunting or chase coyotes, the wind and thermals can be your best friend or enemy. With Cirrus® on your side, you can take advantage of wind currents you never knew existed. 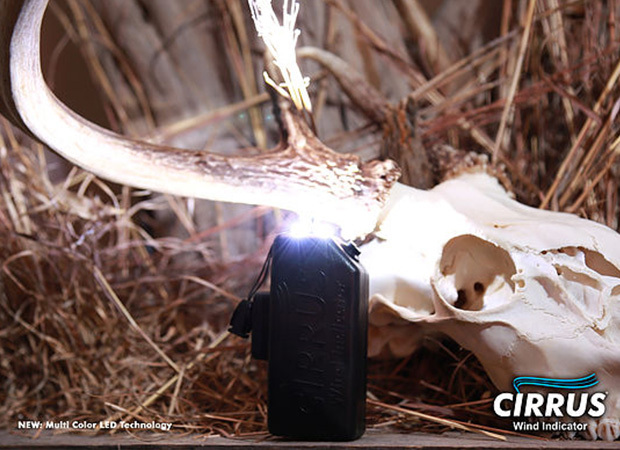 ​With unbelievable battery life and cartridges that last over 1000 puffs, the Cirrus® Wind Indicator was designed to be a hunting tool that won’t let you down. ​Completely travel compliant, this wind indicator does things that the others cant and last a very long time. 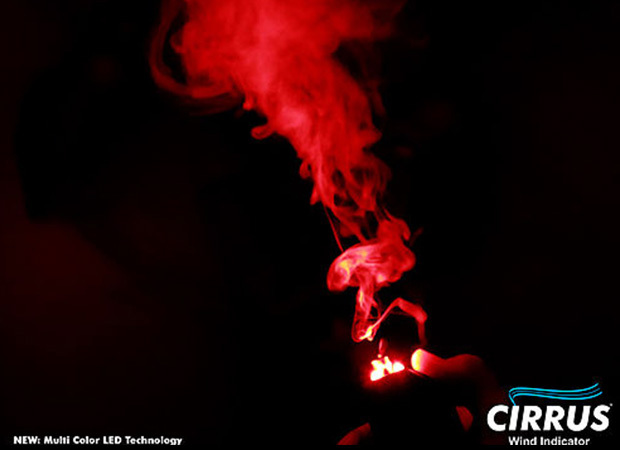 Powders, floaters and even other vapor like products do not hold a candle to the Cirrus® Wind Indicator. We have tested the cartridges and had as many as 1400 full puffs. This varies on use and pressure applied to bellows. Can I travel on a plane with my Cirrus Wind Indicator®? Yes, the last time we checked. However, check with TSA (https://www.tsa.gov) on the latest rules and regulations for traveling with lithium battery devices. These devices are permitted on planes, but the FAA recently notified airlines that the lithium batteries used in these devices are fire hazards and should not be packed in checked baggage. According the FAA: These devices are battery powered and have a heating element that vaporizes liquid (that may or may not contain nicotine). These devices are prohibited in checked baggage and may only be carried in the aircraft cabin (in carry-on baggage or on your person). They may not be used or charged on the aircraft. When a carry-on bag is checked at the gate or planeside, all electronic cigarette and vaping devices, along with any spare lithium batteries, must be removed from the bag and kept with the passenger in the aircraft cabin. If your device does not have a lithium battery, you may pack it in either you checked or carry-on bag. 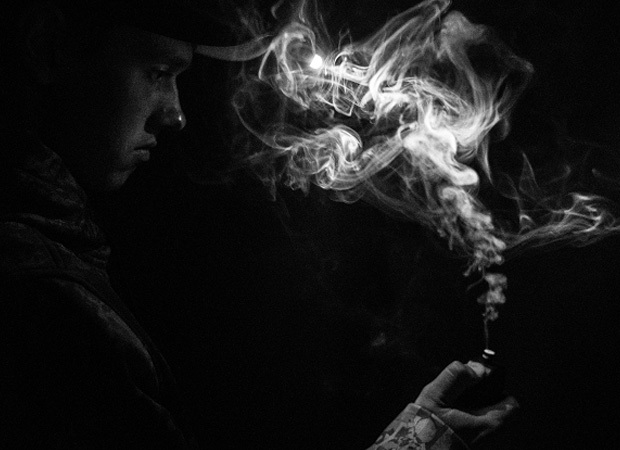 Is there Nicotene or other carcinogens in the vapor formula? No. The formula is all natural and contains no harmful chemicals. It is not to be ingested or used as an inhalation device. Use only as directed. The battery will last over 100 hours on a single charge. * Charge can vary due to LED and Power Bank Usage. Do you have any scent formulas? 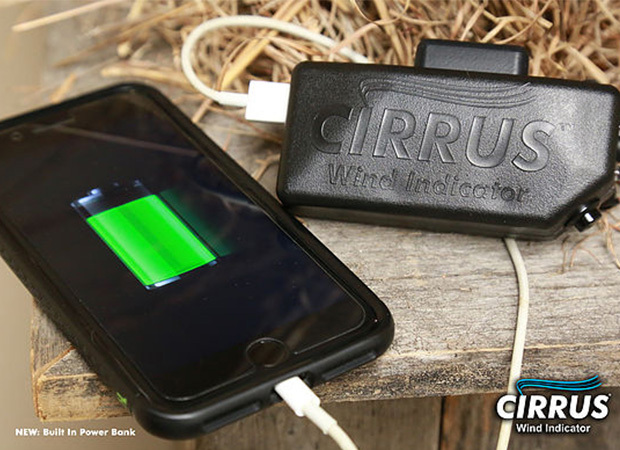 The Cirrus Wind Indicator® has a power button that must be held down while simultaneously pressing the bellows. This prevents over heating or prolonged battery use. If the button is held down to long, purposely or accidentally the Cirrus Wind Indicator® is designed to shut off internally preventing over heating or damage. No. It is Non Hazardous. It is not intended for human consumption and should be used as directed on the package. MSDS sheets available. Is the Cirrus Wind Indicator® durable? The housing of the Cirrus Wind Indicator® is made of heavy plastic. It is very durable and should be used as directed. Our natural cloud formula is 100% organic and designed to have little odor. Any time you burn something or use the process we do, it will have a slight smell to it. We have not had any problems with it spooking game. Remember if the game is down wind, the Cirrus Wind Indicator® is the least of your problems.